I imagine you’re familiar with the City of Vancouver and the City of Edmonton’s work in this area. They opened up their data with interfaces that companies can use to create new products, apps for mobile devices, etc. from City “owned” data. For education we need to separate personal data from public. We need to think about safety implications of even sharing things like school floor plans. But, for sure we should be able to be more open with our processes, curriculum, lesson information, assessment practice, etc. This will create vulnerability for many people used to a closed system. You said “it starts as a change of mindset”. I think you’ve hit the #1 challenge – you’re talking about moving from a culture of closed to a culture of transparent. Thanks Brian. When I began thinking about open government, I was focussed on the open data. I think there is potential with this but it has a number of challenges and is more controversial than the other aspects of open government around how “we” do business. I do think being more public with data would be helpful and allow more people / groups to come to their own conclusions instead of relying on one or two organizations to make sense of the data – often is ways that frustrate educators. I think all public services are seeing a need to move to a more open system. The same drivers for make the health care system more transparent are those driving education. To combat the increased questioning of our public institutions are institutions need to act in more open ways. At the end of it, it is also a giving up of control. Scary. “Open Government” is an interesting but enigmatic term. Has the Ministry given it any definition? is there a vision or a mission statement? I can’t imagine anyone advocating “closed government” so I am not sure what to make of this new slogan. If it simply means finding means to provide more transparency in process and outcomes, then I am all for it because, at least in theory, that would permit more informed public engagement with policy issues – which begs the question, what policy issues are important to consider. It seems to me that the central question in government is not whether it should be open or closed, but to what extent it should be active in support of the common good and to what extent it should be active, or absent, in support of individual preferences and desires. For example, we have a required core curriculum because there is a societal consensus that in order to become responsible citizens all students require some fundamental knowledge and skills. Some see this as unacceptably dictatorial because it conflicts with their personal desires – why should I have to take Art when Computer Science is my passion? A more fundamental example would involve the uniquely Canadian approach to multiculturalism, in contrast to, for example, the French approach. In the era of “personalized education” and “open government” I wonder how the balance between public and private interests may be reconsidered. If there is one question where some thoughtful, sustained citizen engagement would be of value in shaping the direction of our society’s evolution, I think this would be it. Primarily, I think at the top of the list of our need to be open is to help depoliticize education in British Columbia (a lofty, and difficult goal) by moving toward a more evidence based decision making approach. 1. Access to research about education for all interested in understanding education better. 2. Evidence that our policies in government reflect an understanding of said research, whether or not they are in complete agreement. When the research is unclear, policies should be relaxed to allow for innovation in this area. 3. Resources and materials teachers/administrators/schools create should be shared freely and openly in some common space. 4. Data about budgeting, down to the item level if possible, should be made available. 5. Where appropriate, the license on resource materials produced by the government should encourage editing, and remixing by schools so that they can customize (where possible) materials for their own specific use. 6. A recognition that our deep hierarchy may not be the best way to encourage systemic change in the system. So here, communication between the different stakeholders in education needs to be more transparent, and more equitable. 7. More flexibility in terms of what a “school” looks like. The DL schools are definitely a break from the traditional model, but there are other models out there which could be effective. I agree with Bruce’s observation that the term “open” itself is somewhat nebulous and needs defining, which I recognize is probably the first order of business for the new organization. Thanks David – good advice. A starting point is clearly defining open government. As Bruce says, nobody is out there advocating for closed government – but it can mean very different things. 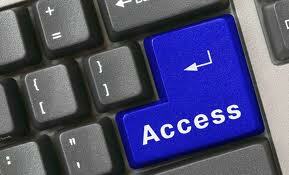 It can be about open data (whether that is student achievement scores, budget information etc.) or it can be about decision making processes or it could be about visioning for the future. I do like your #6 and it is why I find our conversations across roles and geography in the digital space so important – our deep hierarchy is often a real challenge to bring about system-wide change. The following post is based on my microcosm – the classroom. Openness in government seems so removed from my life within those walls, but being transparent and how that effects engagement certainly isn’t. I think we (all teachers) have been struggling with the engagement question for a long time. In a traditional class, regardless of how I taught or the material I presented, I still had to sometimes drag students along with me. I teach Chemistry and I sometimes feel if there isn’t a demo with shooting flames I have let them down! Once I started teaching within the digital model, things changed. I would open my door at 8:30am (we start at 9:00am) and the class would fill with my students and all their friends. Once the class started, we would choose what to work on that day and they would just do it. These are grade 9s I am talking about… they certainly weren’t like any grade 9s I have ever seen! I was no longer the sage on stage, the man with all the knowledge. With one click, they all had access to the everything. If I wasn’t transparent with my assessments, criteria, knowledge bases, or anything else, they wouldn’t have bought in. In saying that, did I just let them go and do whatever they wanted? No. There was still direct instruction, tests, marking, grading, tears, laughs and everything else that goes along with a normal class. Instead there was a sense of what they said mattered…even if they were only grade 9. Maybe it was especially because they were in grade 9. Here is my criteria for all kids who come into my class. Yes – so what we want for our classrooms – fully engaged learners is what we want for our system – fully engaged citizens. I think we can begin to see these two more closely related and our system can learn from our classrooms and our classrooms can learn from what we are trying to do as a system. There is clearly some alignment here that needs to take place. I really like your criteria! You said, ‘it starts as a change of mindset’, and while I agree, we then have to go directly to the skill-set! I say this, for example, because the world is filled with smokers who know it’s bad for them and that they need to quit… the mindset may change, but if the skills are not there then change tends not to happen. Example: Creating an acceptable use policy? Seems like a waste of time for schools or even districts to be spending time building this individually… let’s set up something at the government level that offers a recommended policy that districts are then permitted to adapt*… take suggestions on a digital space such as an open wiki, actually invite PACs & Teachers and Student Leaders to participate in discussions. Create the guidelines then share them again for feedback. Make the whole process clear before-hand and let all parties participate. 2. This invites innovation as individual districts may actually improve the policy if they are given the flexibility to do so. Example: Student portfolios? How do we store these so that, across grades, across schools and across districts, they can be accessed by students, parents & teachers? How do we keep the information safe/private? Who has a right to see them? Who has a right to remove something from them? I’m personally not a fan of BCeSIS: http://en.wikipedia.org/wiki/BCeSIS as a model to follow, but if we don’t start talking now, what will we end up with? Further, it makes sense that this is done at a level above just individual districts. Mindset: We need to start tracking the educational digital footprint of students. It is their education, their learning resources, and students/parents deserve to have access to this. Skill-set: How do we align this within our province? How do we train teachers to use the tools to do this? Who do we trust with the information, & how do we keep this information safe? How do we communicate this to all stakeholders? Resources: What tools/technology do we need? Who pays for this? How do we train students and teachers to use this? These two examples are where a (yet undefined) ‘open government’ can help school districts and an open approach would make the end result far more workable than a government-imposed solution. …and as a final thought, let’s not just look at ‘open’ government, but rather take this approach, ask these questions, of all stakeholders (not forgetting students as one of them). Your last thought is one that we need to keep coming back to – whatever a more open education system looks like, it must be done in a way that recognizes and encourages the voice of students and not just the students who we tend to often hear from who are the most successful in our system but all students. This, of course, is a challenge at even the class or school level so it is even a greater challenge at a system level. You pose an interesting question, Chris. I will start with the engagement piece. In education, much like in government, do we REALLY engage the public, or do we merely go through a series of processes that will allow us to espouse popular phrases such as “we got public input”, or “in consultation with our stakeholders”. Perhaps it is not as dichotomous as this, but as you said Chris, the status quo on public involvement in education is not acceptable anymore. On a microcosmic level, how many of us are satisfied with the amount of parental involvement that we have in our schools? I have yet to meet a parent who is not interested in the education of their child, yet for some reason, we tend not to have as much involvement as we likely need from one of our most important partners in education. And as you are alluding, Chris, the blame does not lie with the parent, it lies with the body that is seeking input. I need to do something differently to engage my parents. We are trying new things just this year with our online, dynamic school improvement plan, but we still have a long way to go. My goal is to take the feedback from our education partners and demonstrate to them how it was used to shape decisions made at our school. On a macrocosmic level, in the education system, what are we really doing to engage the public in the processes of curriculum development, evaluation practices, resources expenditure, and policy creation? Is the public aware of how they can have authentic input into these areas? If they do, are they able see their input reflected in some of decisions that are made? I think Stephanie Hayes’ list is excellent, but incomplete in the context open government and engaging partners in education. The one concept that I would include is “acknowledgment”. For consumers of the public education system and the general populace at large, the process for public input needs to be clear, and the intended use of that input needs to be explicit. But the major piece that always seems to be missed is this acknowledgment, done through reporting back to those groups on the specifics of how their input was reflected in the decisions that were made and comments on why some of their input or suggestions were considered, but not included. As an individual, it is incredibly demoralizing when someone asks me for my input and then ‘ignores’ it. It matters little if this is done intentionally or inadvertently; if I do not see or hear any evidence that my input was considered, I will feel like my input was not valued, and I will lose interest and trust in the input process. Extrapolating this to a larger audience, I can only guess that general public would feel the same way. We need to have multiple focus groups from every jurisdiction that are comprised of students, teachers, administrators, parents, post-secondary professors, and members of the workforce. These groups need to collaborate on the curriculum and skill set that students need to acquire to become the global citizens that society needs. These groups need to look at assessment strategies to see if they are geared toward discovering what it is that students have learned and assisting them and their teachers in finding any areas on which they might need to focus upon in the future. They need to look at reporting practices and see if they are informative to the consumers of the education system and give an accurate and useful portrayal of those learnings in such a manner that students can use them in their future. And they need to evaluate the resource expenditures and policies to see if they reflect what it is that we value in schools. And then we need to take this input and utilize it, and acknowledge these groups by demonstrating to them where their input has made a difference. David has made an extensive list of things that should be available to the public, and I would agree with each of them. It is my guess that for the most part, should we establish a trusting relationship with our partners built on the principles that Stephanie Hayes lists in concert with some form of acknowledgment or validation of partner input, we will get the authentic engagement that we are looking for. Nicely said Cale. What is very important for me, when invited to engage and be a participant in a process I want to know what role I am playing. If it is simply for input, that is fine but I want to know upfront if I am not part of the decision making process. Too many of us have been burned by engagement processes where we found out later were really not what they were advertised to be. I see in some of the comments here and elsewhere, even our most positive people are a bit cynical- if we are creating new ways to engage they need to be authentic and done right from the start. That’s a great question, and, not surprisingly, thoughtful replies have followed! My initial thoughts are with the term ‘citizen engagement’. In the context of education, I see that citizen engagement as meaning students, parents, all school staff, and members of the larger community who come together to be involved in the learning community of a school with the purpose of improving and enhancing student learning. To do this well, I think it’s vital that each school’s unique community needs to be honored and, to borrow from Cale Birk, acknowledged. No easy feat, especially in such a diverse place as British Columbia. I have more questions than thoughts on open government. I’m more than a little cloudy when I look at the education system in BC through that lens. I like Brian’s point about the safety implications and further to that idea, I wonder again about honoring parental wishes as to their children’s online presence. That conversation changes from family to family – how would the government approach the entire province approach on that? I love the idea of transparency in relation to digital identity and think it’s a necessary inclusion into student learning today. As a former senior art/photography teacher, I had my students build online portfolios. As one of the Elementary Connected Classroom teachers in SD #74, we share content online to build learning relationships between our three school sites. I like the opportunities that transparency can bring and I think it’s important that educators model and include the idea of digital footprints and digital citizenship into their practice. It’s one of the reasons I do all that I do with technology in my practice; I want to be a good role model and stay one step ahead of my students and my own children. I’d love to see the Ministry of Education somehow open up so that our students learning was open but managed in a safe, purposeful way. Think of the advantages that could offer our students! Yes, a definite change in mindset as you mentioned, but, I would agree, a necessary one, and, as David Truss pointed out, it seems many districts are already working on that skill-set. I think BC is already on the right path. What an amazing concept as there seems to be a disconnect between ‘open government’ and ‘citizen engagement’ at the moment. I think educators and taxpayers alike feel they have no real input into public education even though they are asked for it, and this just on the heels of the supreme court’s ruling that the government was in the wrong to strip collective bargaining rights. With all that said, this movement has so much potential for good change to bring more stakeholders in education together to move it out of Dan Pink’s ‘industrial age’ to something more current like the 21st century learning paradigm. Further, I have to agree with Brian. For more movement towards the open, there needs to be a compelling reason to do so. If the government can make people feel there are real reasons to get involved, and they will are heard and not just asked for their opinions in a false attempt to be ‘transparent’, this could really happen! Thanks Bernie. It would be great to make Daniel Pink required reading right now (or at least the animated video). Not many people would argue that the idea of “open government” and “citizen engagement” are good things; however, what this actually looks like in practice is an unknown right now. The biggest question for me is: whose agenda is behind the current and future decisions in BC education? We say we want the voices of all those involved in education but is this a possible goal? Can we actually get the voices (and engaged citizens) of those in the system that have been marginalized by this very system? How do we prevent the corporate and neoliberal agendas from dominating? How do we prevent the strong voices of the middle class from not silencing those who are equally important yet do not have the cultural capital to speak? TRUST is key – so how do we get there? If education was easy, we would have solved it long ago; with so many valid opinions, how do we come to a conclusion on what is best for our kids? How can we be sure that what is best for the kids of West Van is best for the kids of Agassiz? SO I guess I have no answers but many more questions. Asking the powerful questions and moving deeper into our conversations around education is a great first step and I guess open government aligns with this process. I agree with Cale and I will add that I think we have one shot – if the government asks for input (and getting input from those that have been disengaged by the system is the challenge) then there needs to be action. If there IS input and it is NOT acted upon, the marginalization and silencing will continue and the goal of “citizen engagement” will be lost. Is the Ministry ready to act upon the input and significant changes that may result from this dialogue? I am not so sure. What a fabulous set of questions Chris. It is easy to say we want to open up the system, and there are likely some easy wins, but to redefine the relationship that education has with the public is a huge undertaking. I will find ways to weave your questions into the conversation tomorrow. Your last question is interesting and one all of us wrestle with, in classrooms, schools, districts and beyond – what if we ask a question and don’t hear the answer we are hoping for? I have followed you for a little bit. I have 18 years of teaching experience and have always been ahead of trends. I recently finished a Masters of Arts in Learning and Technology with Royal Roads. Currently, I teach grade 9 students at FVDES. One of the trends I am observing is that ideas are decontextualized and twitterpatted … and yes, almost in the sense of Bambi where we become so passionate about a topic we create staccato thoughts in 140 characters. Data without the narrative, the Bakhtin historicity, creates a nebulous environment that will only be mined by those with the aptitude or attitude to do so. Those who are trying to change things are doing so by redesigning, researching and doing. My students choose DL for deeply personal and often, private reasons that are not well measured. That being said, my research into the major trends in k-12 education leads me to the following conclusion. Data systems need to move toward interoperability like the move in Australia. Should we tie data of student attendance to student driver license and family allowance cheques? (Perhaps too controversial??) Reporting needs to report on standardized learning outcomes rather than “quizzes” “assignments”. For this to happen, the PLO’s need to be reduced (like Finland) to allow for the ease of reporting but also to allow for time to provide instruction on various technology tools. Design for those using the data at the frontline before creating the software. If we have a mechanism, then we also need a funding mechanism to address the data. Also, learning objects can be developed PROVINCIALLY or NATIONALLY rather than by districts or teachers. From experience, personalized learning can easily turn into a factory model (with more bells and whistles) where students are working in their own corner of the world with no connection to each other. It is very important we engage frontline people in creating this vision so that it is manageable and truly advocates an advance in learning strategy based on substantiated research. Of note, creating funding based on choice schools has only balkanized schools, districts and courses, creating a system based on competition for enrollment. We are caught up in our wall paradigm. Seeing the educational system as a services contained in a box/building with distinct boundaries is no longer viable. Instead, our system needs to a more fluid ecology where boundaries, both regionally and nationally, are less distinct. For example, a voucher system to access a range of services that support students and teachers but that in itself requires a new funding model. Ultimately, we need to shift our mindset from quantitative data on grades and attendance to qualitative data. We need to fully understand the users and define “personalized learning” and “21st century” from many perspectives. We need design thinking for services and to create a new living narrative for the 21st century that extends beyond 140 characters and a few clicks. and now I see typing errors. 4. Be digital literacy leaders by keeping up with all things digital that are relevant to the educational community in which we work. 5. Let go of territorial and proprietary attitudes to free up your school library program to connect with others. on May 12, 2011 at 3:48 AM | Reply David Truss :: Pair-a-dimes for Your Thoughts » Broken or Transforming?